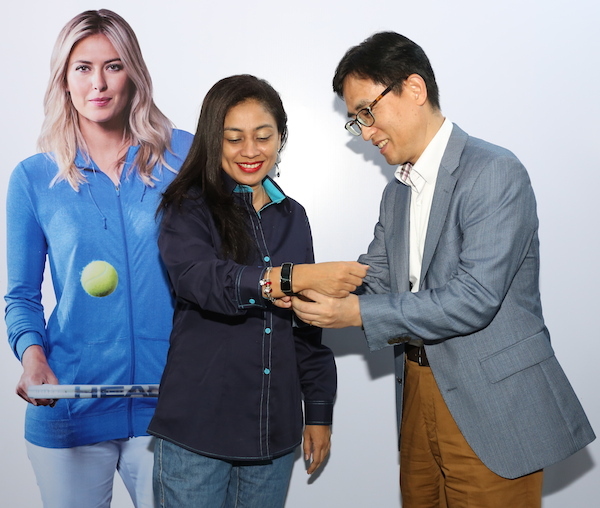 Samsung Malaysia Electronics rewarded 55 selected fans with a special gift worth RM200 each at five selected locations in Klang Valley and Penang, in conjunction with the consumer launch of the GALAXY S5. These 55 fans were chosen from Celcom Blue Cube and DiGi Concept Store at Sunway Pyramid Shopping Mall, Maxis Centre at Suria KLCC, Samsung Experience Store at The Gardens Mall and Gurney Paragon Mall Penang. Lee Dong Yong, President of Samsung Malaysia Electronics said: “We are excited to be here today to thank our loyal customers for their enduring support all these years. As such, we decided to select 55 fans to represent the 5 core pillars of the GALAXY S5, which are fun, fit, life, speed and style. “The GALAXY S5 is Samsung’s people-inspired smartphone to complement every aspect of our consumers’ lifestyles. We look forward to designing more innovative products that resonate with the needs of our consumers,” Lee elaborated. 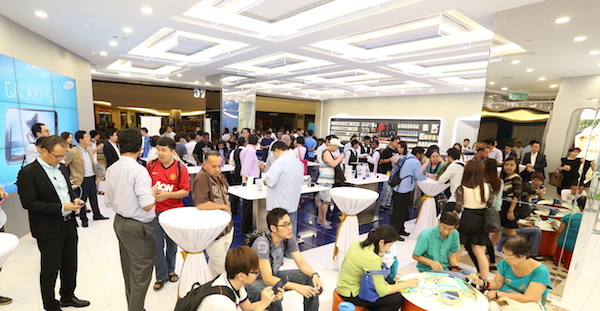 The GALAXY S5, Gear 2 and Gear Fit are available for purchase at all Samsung Experience Stores nationwide, as well as Samsung’s telco partners – Celcom, DiGi and Maxis. Meanwhile, the devices will be available at all Malaysian retailers by the end of the month, joining the shelves of 125 countries including the US, Europe, Middle East, Latin America and most Asian markets. The GALAXY S5 retails at RM2,399, while the Gear 2 and Gear Fit are priced at RM899 and 599 respectively. For more information, please visit www.samsung.com/my or visit Samsung Mobile Malaysia Facebook page at https://www.facebook.com/samsungmobilemalaysia.